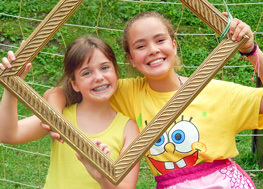 Welcome to Camp Twin Creeks, a summer camp for kids ages 7-16 in the Allegheny Mountains. With over 60 years of history, we exclusively offer a traditional two week program; campers arrive and depart together, enabling them to form lasting friendships. A totally complete summer camp experience! Learn about our philosophy and view our dates and rates. View all photos and videos from the summer here. Check out summer session dates here. 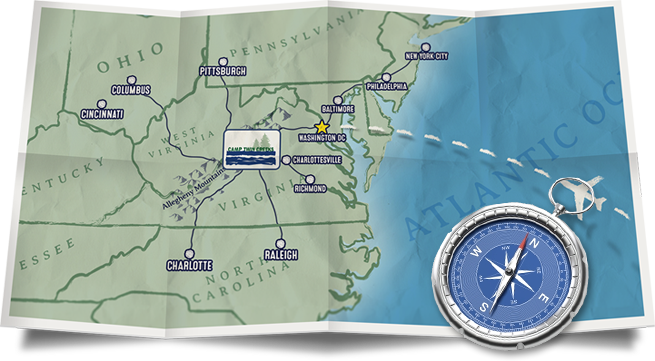 We offer a convenient location to large cities and college campuses including Charlottesville, VA (2.5 hours), Washington DC, (4 hours) and Baltimore, MD (5 hours). 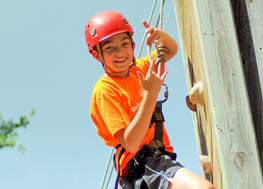 Camp Twin Creeks provides luxury coaches from the Washington/Baltimore metro areas. Camper will be met by a Twin Creeks staff member immediately upon their arrival to Washington DC’s Dulles International Airport. © Camp Twin Creeks. All rights reserved. Website by 829 Studios.